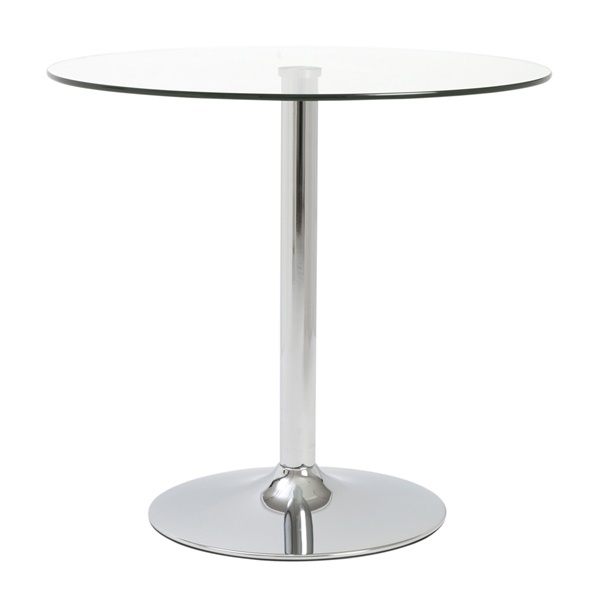 This modern dining table is simple and stylish with its contemporary circular design. Tempered clear glass on its table top keeps things clean and airy, while the polished chrome steel base and column adds dimension and depth. Perfect for your intimate dinner parties, the Talia Bistro Table is a lovely addition to any home.